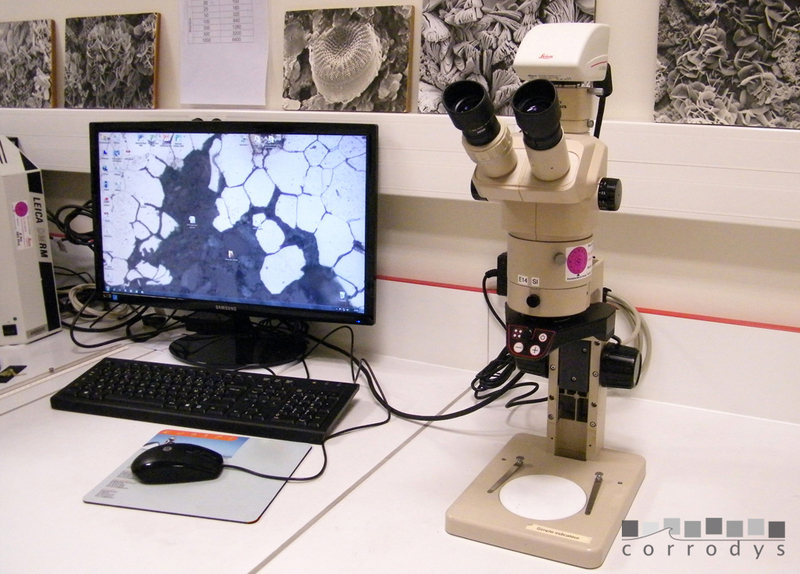 The laboratory meets all the metallographic equipment and tests. These facilities are used for our services, such as expertise, study and analyses, and also for our R&D projects. 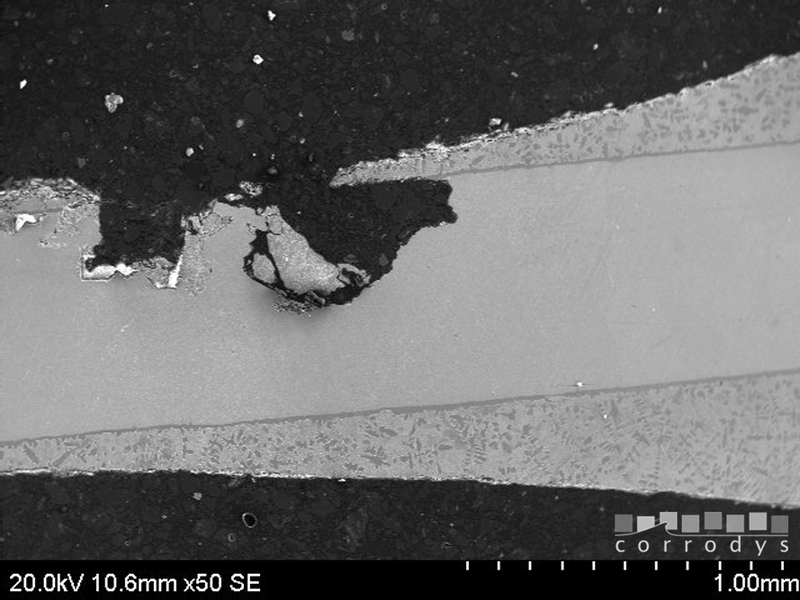 For a metallographic analysis, the sample is cut in the interesting zone of the tested material, thanks to a disc or a diamond wire for a better precision. The aim is to obtain a plane and polish surface (without any scratch). The sample is coated in a specific resin before a mechanical polishing in order to reach a surface’s roughness of less than one micron. 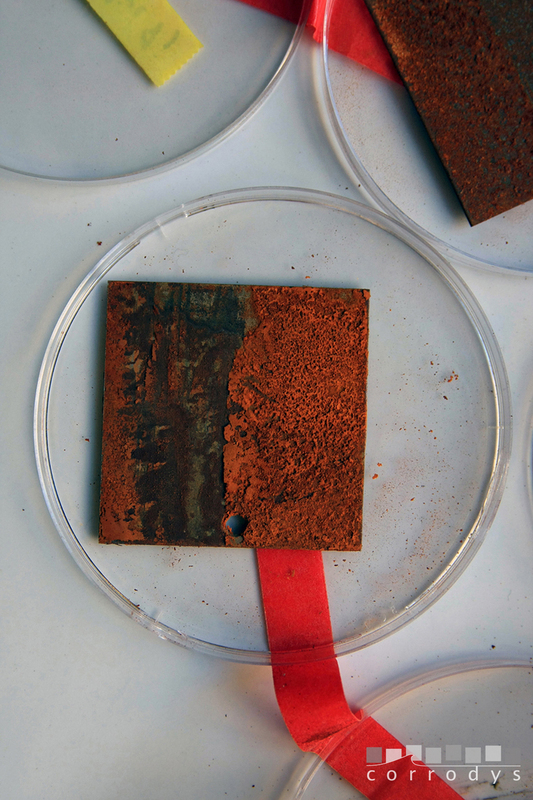 After the polishing, the sample can be submitted to a chemical or an electrolytic attack in order to reveal its microstructure. 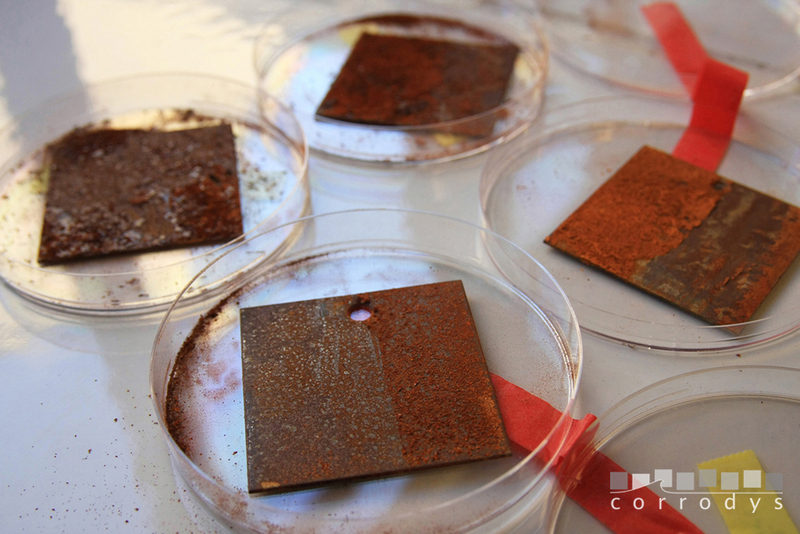 The sample preparation is a primordial phase, particularly for an expertise to analyze damages and identify failures, but also to quantify corrosion. Example: Material or coating ageing test. Glass reactors (with or without temperature regulation system) with a volume from 20ml to 6000ml. In specific studies, volume could be superior. 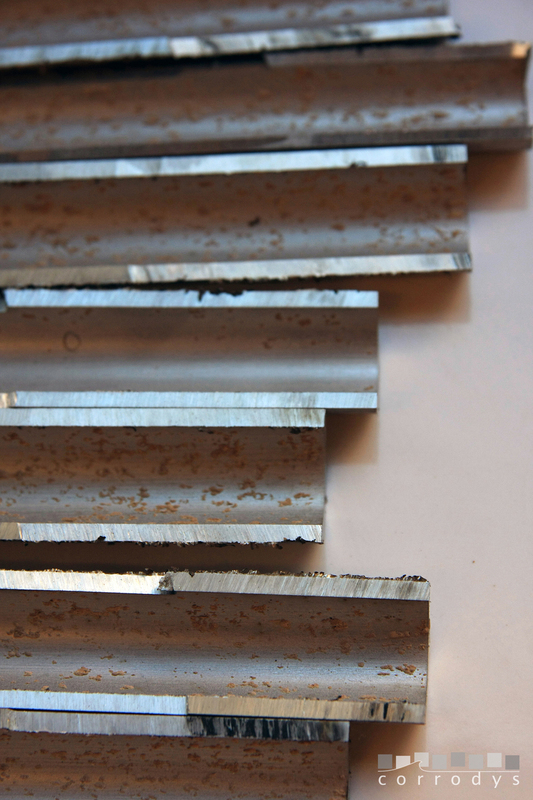 – Determination of the pitting corrosion resistance and evaluation of the corrosion potential, the pitting potential and the repassivating potential of metals and alloys in a given medium. 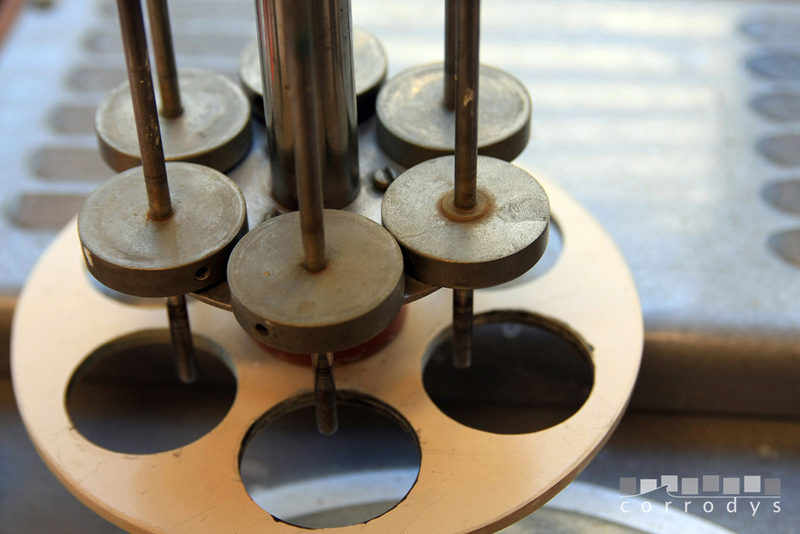 – Continuous measurement and monitoring of the corrosion potential evolution on several samples of different materials (until 120) at the same time. 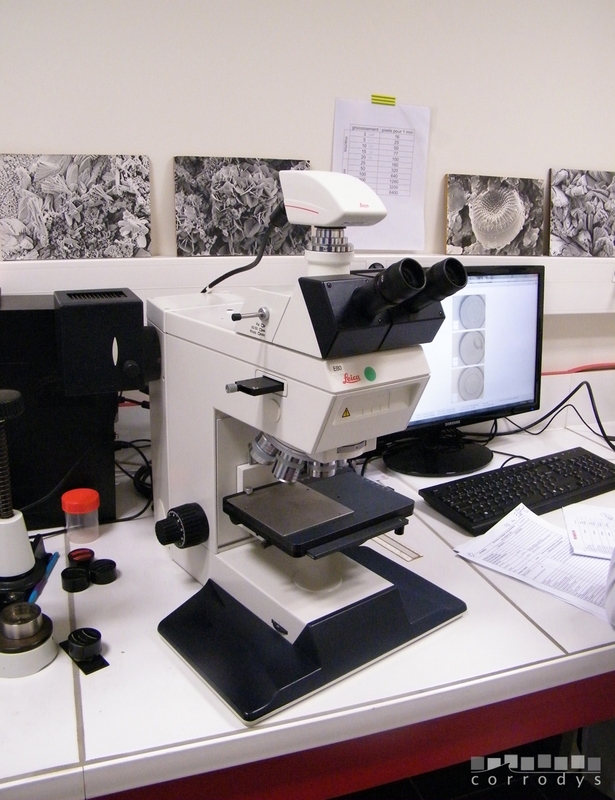 Scanning electron microscope (SEM) coupled with X-ray microanalysis (equipment of the technical platform of the University of Caen Normandy, based in Cherbourg). These technics are useful, for example, to identify the presence of exogenous elements and the nature of the compounds of corrosion products.